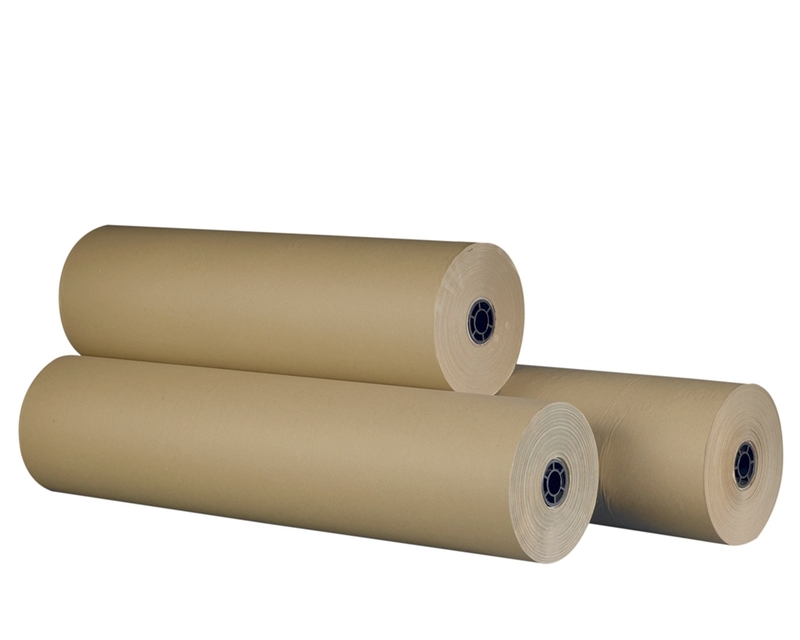 Imitation Kraft paper rolls are an easy-to-use and affordable wrapping solution. Natural and eco-friendly, imitation Kraft paper also offers your products a unique look. Tear-resistant and reliable, imitation Kraft paper is ideal for wrapping parcels and packages. DS Smith is a leading supplier of packaging solutions, collecting and processing recycled paper in our own mills, and using that paper to make corrugated cardboard in a sustainable supply cycle. With our imitation kraft paper rolls, we advance our goal to become a world leader in environmentally friendly packaging. This wrapping paper is made from 100% recycled post-consumer waste paper, which is 100% recyclable, compostable and biodegradable after use. Our imitation kraft paper rolls have a natural aesthetic, and provide an excellent wrapping solution for any e-commerce retailer offering products such as handcrafted decorations, natural textiles or organic cosmetic products.